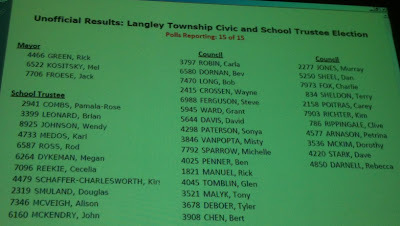 Last night was another very grueling Langley Township Council meeting and I walked out feeling like it was yet another night of banging my head against a brick wall. Council is elected by the residents to look after their interests and provide fair and balanced oversight. For the life of me, I don't understand why Council can't break out of the "if-the-staff- recommends-it-council-must-rubber-stamp-it-yes-man" mould. Some days I get really tired of always feeling like a salmon swimming upstream with this Council and I wonder if it makes any difference at all. Then I get letters like the one below that reaffirms my belief that what I am doing is not wrong.Thank you very much to this kind Township resident and the others who after last night's council meeting took the time to send me thank you notes. I appreciated receiving them very much and I will keep on fighting for you, and doing my job on your behalf. Thank you for your support and encouragement. It means more to me than I can say. I could not attend tonight's meeting due to being home with our children but my husband was there. I watched live on the iPad. Thank you so much for fighting for us. It was evident you tried every angle you could and we are forever grateful. Thank you for taking your job seriously and fighting for the residents. 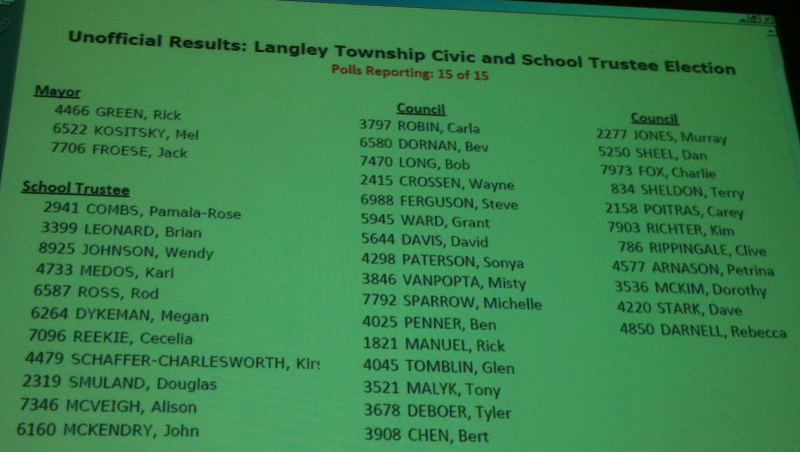 It is clear that you love Langley and appreciate those who live here. We are very grateful and I wish there was a way we could show it! This LFP posting above is by Kim Richter - a 5 term Langley Township Councillor who was a management consultant and presently is a Business Management educator at Kwantlen Polytechnic University. Kim also hosts Langley Free Press and is the LFP Publisher. View her full bio and read all her LFP postings at this link. Guest editorials are welcome and draft editorials should be forwarded by email for consideration of publication on LFP.